European Horse Trade offers dressage horses, hunters, jumpers and ponies from Europe for sale at prices that will put a smile on your face. Prices are still lower than in the United States, even including import! Are you looking to buy that special dressage horse or a warmblood made for the hunter/jumper ring? 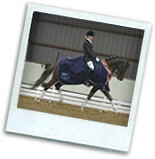 Do you have trouble finding your dream horse while staying within your budget here in the US? Go to Holland shopping for a horse. Save money (and that includes the cost of your trip to the Netherlands). See up to 15 quality horses in a few days. You save time and money – no need to fly all over the US! Find your dream horse in one trip. Why choose European Horse Trade? 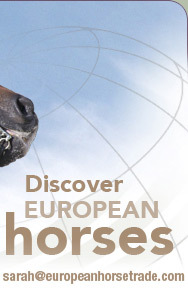 European Horse Trade – We help you find the perfect horse in Europe! 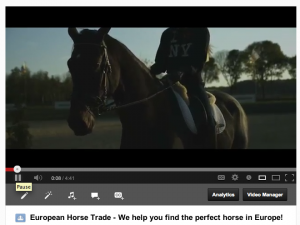 WATCH what Clients have to say about European Horse Trade!!! Easy access to the European horse you are looking for. A local (in the US) Dutch contact to plan and discuss the trip with you. 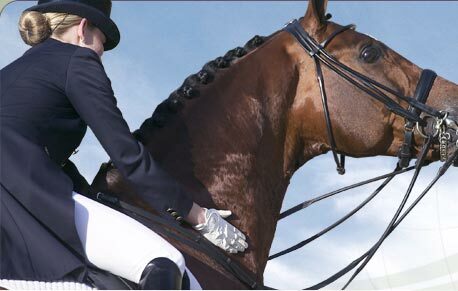 Specialized host in Holland to select and show you the horses. We organize your travel arrangements. We take care of transportation, vets and quarantine. The right horse for the right price. Combine your horse finding trip with a visit to one of the great shows! Or go shopping at one of the largest tack shops in Europe! European Horse Trade (EHT) acts as an agent only. EHT advertises with information given to us by the owners of the horses and is not liable for any of the statements. EHT is not liable for the overall condition of the horses, nor liable for any guarantees made by the owner of the horse. EHT is not liable for any damage to the horse, or caused by the horse, before, during and after sale and transportation.